Server-Side Vulnerability Fix Releases for All React 16.x Lines — If you’re using react-dom/server with any React 16.x release, you’ll want to upgrade. 16.4.2 is out which mitigates the bug, but releases of the 16.0, 16.1, 16.2, and 16.3 lines are out too if you’re not ready to jump to 16.4. The React Native at Airbnb Story with Gabriel Peal — Airbnb’s post about why they’re stopping using React Native was hugely popular and now an Airbnb engineer has discussed the situation in full on the Software Engineering Daily podcast. 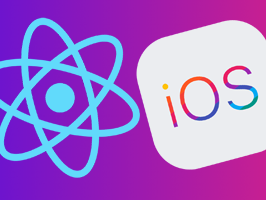 How to Build an iOS Messaging App with React Native — A comprehensive guide covering messaging, message history, users, typing indicators, and deploying a mobile iOS chat app. React Conf 2018 is Returning on October 25-26 — It’s taking place on the outskirts of Las Vegas, and you’re invited to propose a talk (deadline is August 19) and register for their ticket lottery as it’s a popular event. Build High Quality Open-Source at Uber (San Francisco) — As a Web Platform engineer at Uber, you’ll be building the foundation for all web applications at Uber and beyond. How to Set Up Your Own Webpack 4 Config for React with TypeScript — A guide to setting up a basic Webpack 4 configuration from scratch for working with React with TypeScript. Implementing GraphQL-Based Search in a React App — Using AWS AppSync for the backend and React Apollo for the client-side calls. A Cold Dive into React Native (Tutorial for Beginners) — Learn about the technology behind React Native, its philosophies, and how to turn a simple React.js app into a React Native one. Test Isolation with React — Why your tests should be completely isolated from one another and how to do that. React Step Wizard: A Modern Flexible Multi-Step Wizard Component — Of course, there’s a demo. Catch React Errors Before Users Do — Detect React production errors in real-time, then debug them within minutes. react-img-zoom: A React Component to Zoom Images On Hover — And here’s a live demo. React Slidez: A Customisable React Slideshow Component — GitHub repo. Bursting Particle Effect Buttons for React — If you want a striking effect..